Heat pumps are becoming more popular around the world, primarily because they offer a greener, cleaner source of air conditioning and heating that is both more efficient and more economical. However, confusion still exists about exactly what a heat pump is, what it does, how it works and where it will and won’t work. This is especially true for those of us who live in geographic regions where winter weather can get more extreme. In past decades, heat pumps were not recommended for use in cold-weather climates like ours. But all of that is changing now. Whether you currently have a heat pump installed or you are pondering making the switch, this is definitely the post you need to read! A heat pump is a multi-functional HVAC system that can operate as both an air conditioner and a heat source. What many people don’t realize is that a heat pump uses the same type of technology that traditional air conditioners and modern-day refrigerators use! The three main types of modern heat pump systems are air-to-air, water and geothermal. The air-to-air (also called "air source") heat pump is the most common type because it is generally the most affordable and also the simplest to install. Regardless of the type of heat pump you choose, all heat pumps operate similarly by extracting heat energy from the air, water or Earth and then transferring it. Extracted heat is transferred indoors in winter and outdoors in summer. This process of heat transfer reduces your carbon footprint and, at the same time, your energy bill. Heat pumps are becoming popular for a variety of reasons. But one of the main reasons for the spike in heat pump popularity is their efficiency. Heat pumps can trim your energy bill by up to half and boost your energy efficiency by anywhere from 58 percent to 300-plus percent. You might wonder how it is possible for any HVAC appliance to achieve 300 percent energy efficiency! The reason a heat pump can deliver this type of efficiency is that it uses pre-existing heat from the surrounding air, water or Earth. Not only is this heat source renewable, but also harnessing this existing energy reduces the energy draw required to run your heat pump. Heat pumps also help clean and purify your indoor air by removing dust, pollen, mould and mildew, pet dander and other allergens. Heat pumps work to balance your indoor air humidity levels to adjust for seasonal humidity shifts. Heat pumps can be installed in any type of space (residential or commercial) whether ductwork exists or not. They can also work well in any size space. Ductless heat pumps will work on a zoned system to help you save even more money on heating and cooling. What Is the Controversy Over Using Heat Pumps in Cold Climates? Because heat pumps rely on heat extraction and transference to work efficiently, in the past troubles have cropped up with air source heat pumps (although not with geothermal heat pumps) when the outside temperature dips below a certain point. At this point (traditionally around -20°C or -4°F), there is insufficient heat present in the outdoor air for an air source heat pump to do its work of heat extraction and transfer. However, today’s heat pumps are becoming more sophisticated to cope with this known shortcoming. As the U.S. Department of Energy explains, many air source heat pumps now come equipped with a backup heat source. The back-up heat source is typically an electric resistance heater or a gas burner. The backup heat source you choose can depend on local power options. Some heat pump models even offer you both backup options so you can choose what type of secondary heat source is most economical and efficient as the need arises. It is important to know how to operate your heat pump to enjoy maximum energy savings. Proper maintenance of your heat pump system makes the difference between marginal and significant energy savings. The U.S. Department of Energy states that a well-maintained heat pump can trim up to 25 percent off your monthly power use! Annual heat pump preventative maintenance includes changing out dirty air filters, cleaning outdoor coils, and cleaning the fan mechanism and other components. Scheduling a professional preventative safety inspection and maintenance service once a year is also highly recommended. During most months of the year, you can switch your heat pump to “cool” or “heat” mode and then set the programmable thermostat accordingly to tell your heat pump exactly what to do and when to do it. 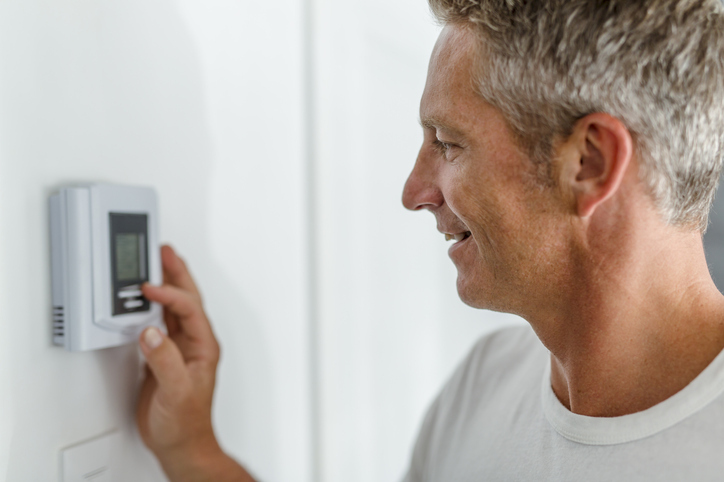 But during the coldest winter months, you may not want to set your programmable thermostat if the settings regularly trigger the backup heat source. This can actually end up costing you a lot more money if it keeps your heat pump working past its point of minimum efficiency! A better money-saving strategy can be to first switch your heat pump to “auto” mode. Next, set your backup heat source to a temperature five degrees below your heat pump's lowest recommended operational temperature. These settings will tell your heat pump when to stop working and let your backup heat source take over. Another option that can work well is to have a multi-stage programmable thermostat installed —this type of thermostat is specially designed to work with heat pumps. Ready to make the switch from a conventional HVAC system to a heat pump system? Need to schedule your heat pump's annual preventative safety inspection and maintenance service? Contact us online or give us a call at 905-549-4616.